Congratulations to this sweet couple that made it official with the help of VOWS on August 8th at Seattle's Japanese Baptist Church and the newly remodeled Bellevue Club. 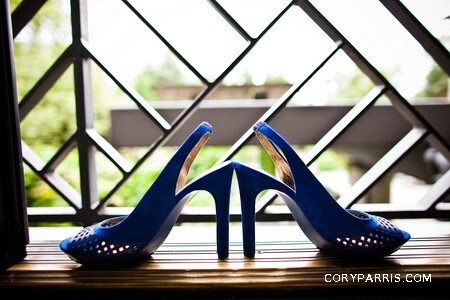 Vivid blue made the entire scene come alive (including the bride's shoes - new trend alert!) and the details of the stunning, lace gown added a vintage flair. 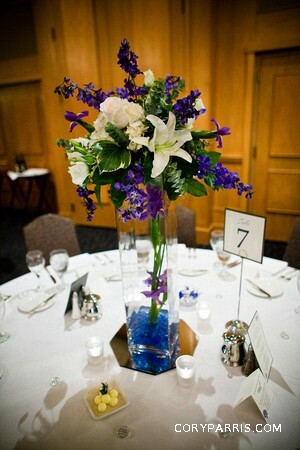 Dueling pianos was a fun and energizing surprise for guests. Thanks to Cory Parris for the creative images and your stress free manner on the job. You rock!